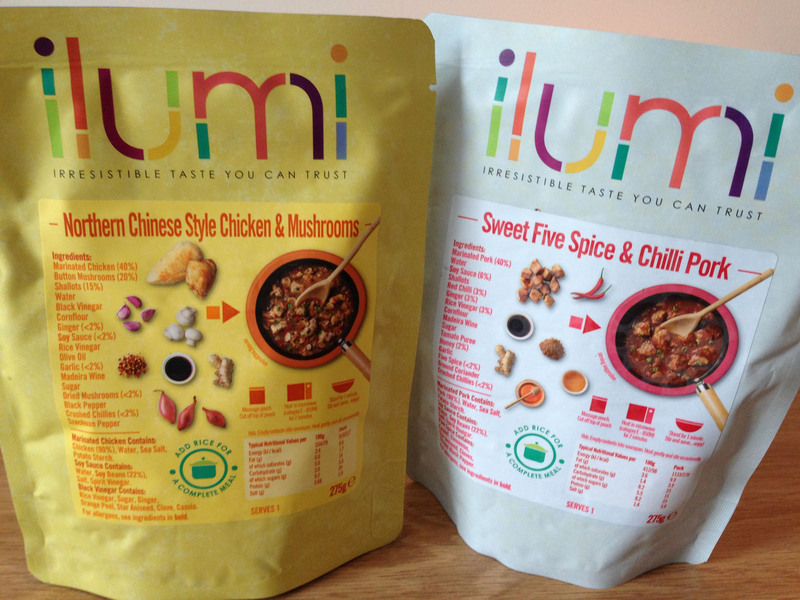 I was recently contacted by Ilumi and offered the chance to trial a couple of their meals. I’d never heard of this company before, and wouldn’t necessarily always accept food from strangers (ha), but after doing a bit of reading up on Ilumi I was very impressed and decided to give them a whirl. And then there’s their special cooking process of combining the ingredients in the individual pouches and heating them once sealed using high pressure and steam until cooked. This means that the packaged food does not need to be kept in the fridge, AND best of all it’s basically like a ready meal – very quick to prepare in the microwave or on the hob. You just need to add whatever you fancy on the side. So… here are the ones I tried out – both from the Chinese range. I tried the Sweet Five Spice & Chilli Pork first because it sounded more up my street, and it was definitely pretty tasty. There was a good amount of meat in the dish, and quite a bit of sauce too. 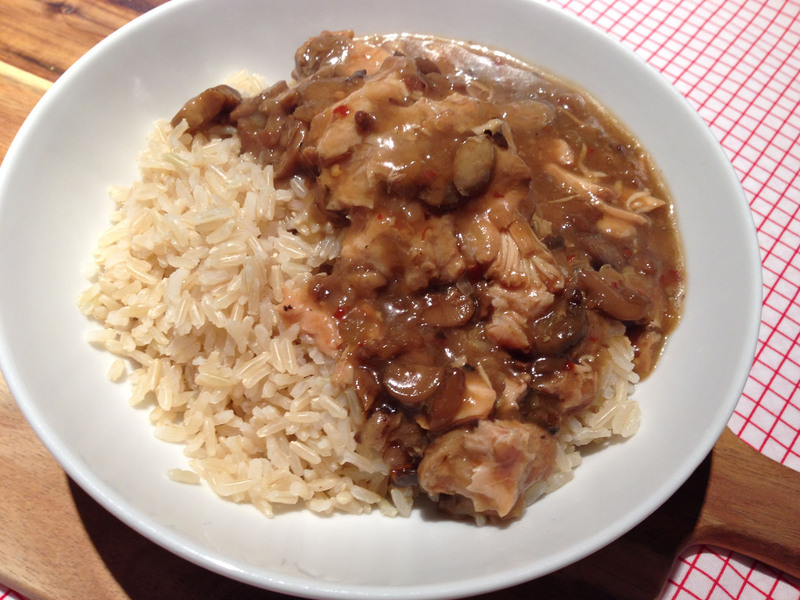 But actually it was the Northern Chinese Chicken and Mushrooms that won the day. This was particularly delicious, and tasted like an actual takeaway dish! Both were good though, and neither one tasted anything like a pre-packaged quick-cook meal. I found the meals themselves very quick and easy to prepare. With both I added half a cup of brown rice and although the packets didn’t look big, with this portion of rice on the side it was more than substantial as an evening meal. 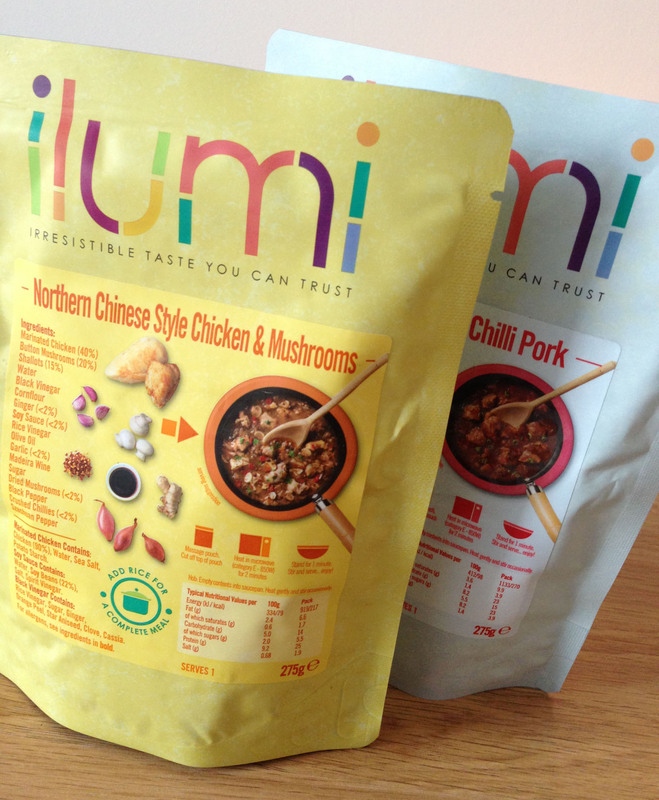 There’s a lot of choice in the Ilumi range with various cuisines covered, so there is surely something for everyone. It looks like it’s currently £3.75 for one of the meal pouches, but just £1.90 for soups and sauces etc. I’d definitely recommend them to people with nut allergies or who are lactose or gluten intolerant. 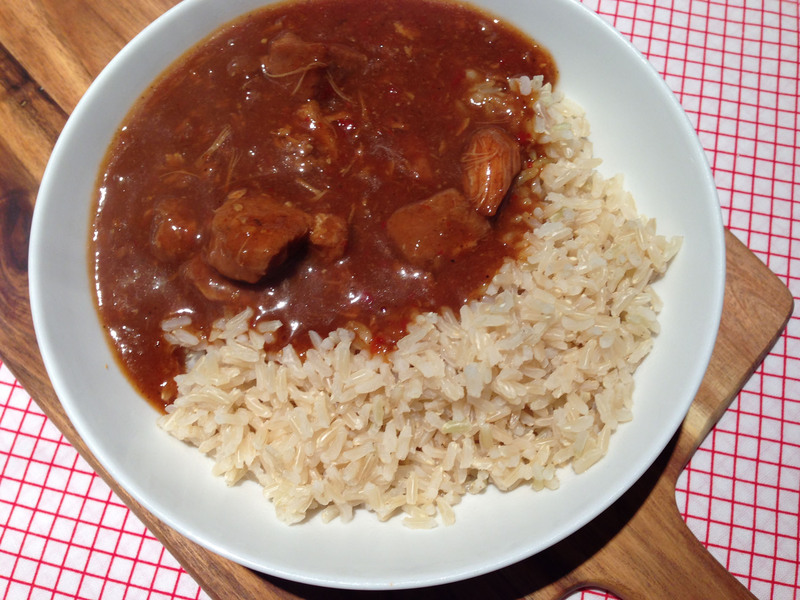 And for everyone else – I’d still suggest giving it a whirl for those times you need a quick, healthy meal for one.